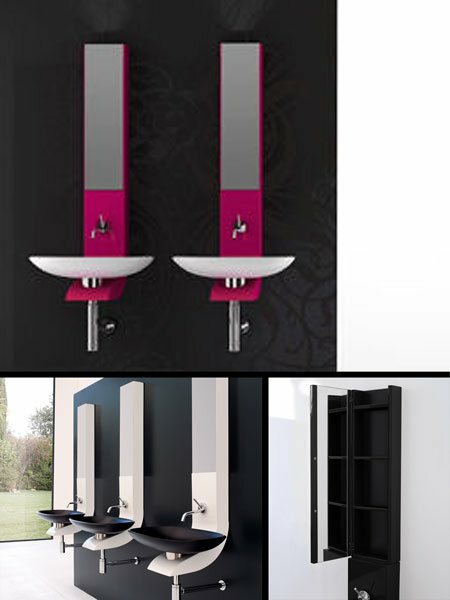 This highly desirable wall hung wash station is available in a black finish. Each wall hung washstand is supplied with the chrome trap, a sleek mounted washbowl, built in mirror door with a handy storage cabinet behind. The basin taps are available as an optional extra. The wall hung washstand shown has a 600mm basin in white included. A black basin in the widths of 600mm or 750mm is also available. * Top Italian bathroom design. * Wash stand available in black finish only. * White or black basins.